Re:Vision helps low-income families overcome the barriers to growing food by providing the necessary resources, including seeds, plants, compost and drip irrigation systems, to convert their yards into high-production organic vegetable gardens. Each family is assigned a Promotora who provides training and technical assistance throughout the growing season, which helps maximize garden production, builds relationships, and creates a strong neighborhood network. 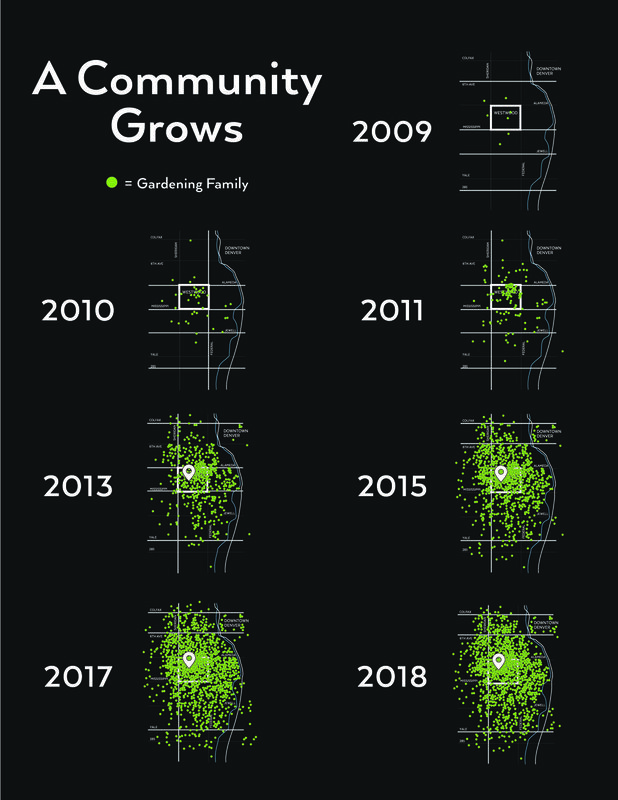 Launched in the Westwood Neighborhood in 2009, the backyard garden program is now in twelve neighborhoods in southwest Denver. The Re:Farm Backyard garden program was launched in 2009 after listening to residents of Westwood - mainly mothers - share concerns about their health and the health of their children. Through Re:Vision's asset-based community development approach, we quickly recognized that while the Westwood community didn't have a grocery store, it had a wealth of agricultural knowledge and a culture rich in food and relationships. Furthermore, Westwood was agricultural land in the early 1900's and had never been contaminated with heavily-polluting industries. Yards were large sizes and had good soil - all of the ingredients necessary to build a thriving, resilient community food system. Residents of Westwood are hard working and don't shy away from working with their hands. Together, with the support of Re:Vision, Westwood grew a community food system, backyard garden by backyard garden. Neighbors saw the bountiful produce coming from their neighbors garden, family members were curious. Soon word spread and the demand doubled or tripled each year, until Re:Vision hit a peak of 400 gardens in 2014. 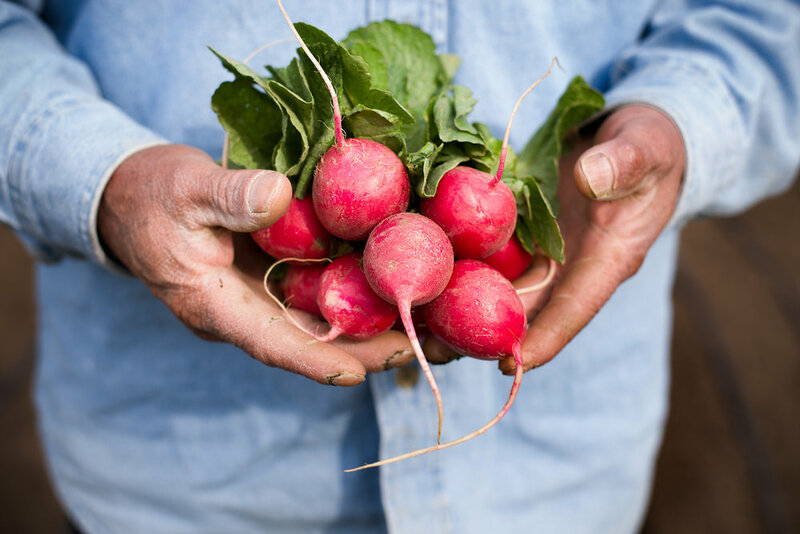 Since starting the Re:Farm program with 7 families in 2009, Re:Vision has helped establish more than 2,000 household gardens in Southwest Denver. These gardens have produed more than 500,000 pounds of organic produce, and have saved families over $1million dollars on their grocery budgets. The majority of familes report household income under $25,000. For most families, having a garden is the only way they can afford to eat healthy or feed organic produce to their children. Many families share food with their extended family and neighbors, building a community food system in a neighborhood that has zero healthy food options. Backyard gardens are restricted to residents of 80219 and 80204. All gardens spots are filled for 2018. Please contact us to get on the list for 2019 - applications begin being reviewed in December! You can help support the largest community-led food access project in the country by sponsoring a backyard garden for a food insecure family today! Please click on support for further informationn.